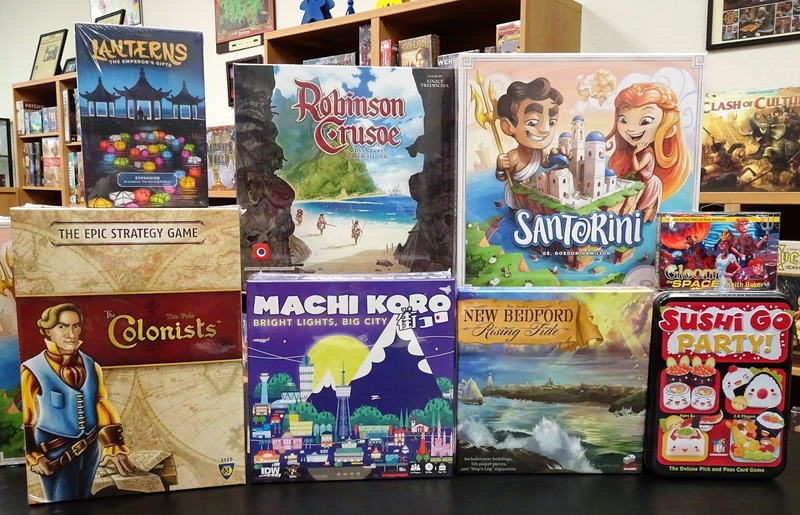 Since the holidays we've been busy getting our shelves refilled with games. Not only are we restocking your favorite games, we have also brought in some new games. Adding to our selection of family games is Santorini, an easy and quick to learn abstract game that's very tactical. 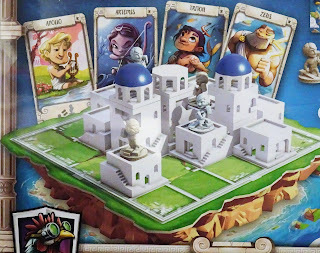 In this 3-D board game with miniatures, players will move their god or goddess to open spaces, construct various levels of buildings, and move up and down the buildings in an attempt to be the first to reach the 3rd level and win. Top a 3rd level building with a dome in order to prevent your opponent from gaining access and the game win. To add variety to the game, included are 30 god power cards with each with a special ability. 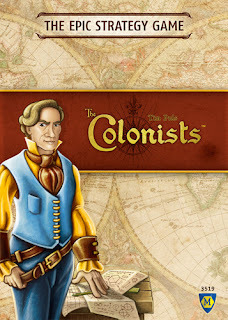 Adding to our selection of monster strategy games is The Colonists, a strategic development game. In The Colonists, each player is a mayor of a village and must develop their environment to gain room for new farmers, craftsmen, and citizens. The main goal of the game is full employment, so players must create new jobs, educate the people, and build new houses to increase their population. 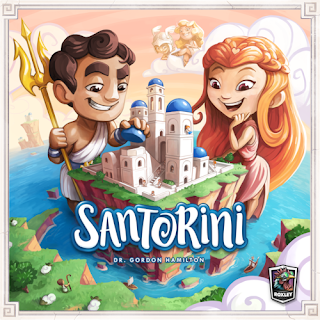 But resources are limited, and their storage leads to problems that players must deal with, while also not forgetting to upgrade their buildings. 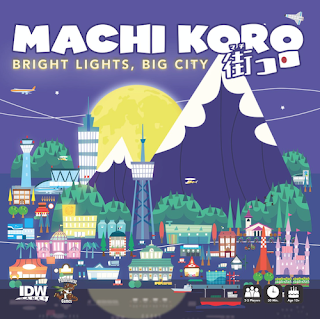 Players select actions by moving their mayor on a central board. Machi Koro Bright Lights, Big City is a new stand-alone version of the popular game, Machi Koro, a fast paced, city building, dice rolling card game. 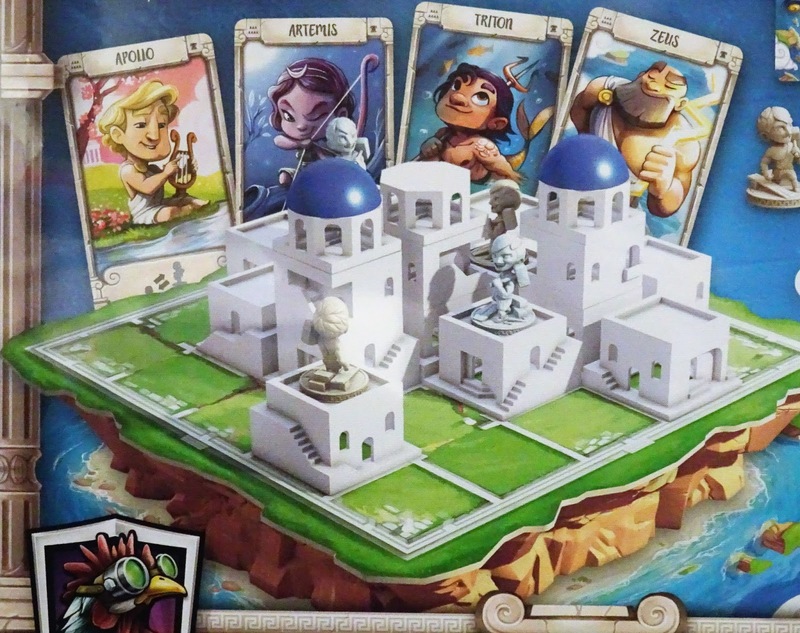 The object of the game is to be the first player to activate all of their landmarks. Each landmark will provide special benefits as they are activated. A player’s turn consists of a die roll, receiving income on all establishments they own that match the dice roll, and the option to one purchase an establishment, or pay to flip over one of their landmark cards. This version includes new cards and a twist to the setup of the establishment cards. 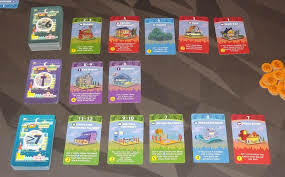 At the start of the game, these are split into 3 decks, one with the 1 through 6 cards, one with the 7 through 14 cards, and the third is made up of all of the purple major establishment cards. Each deck will be shuffled separately, and placed in a column in the middle of the table. Five cards will be revealed from the 1-5 deck and the 1-14 deck. Two cards will be revealed from the purple deck. 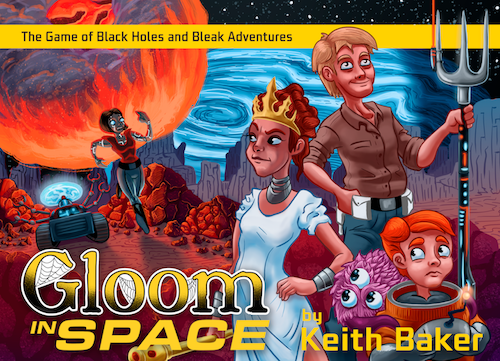 Gloom In Space is the newest in the Gloom card game series. 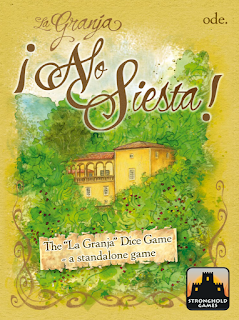 It is a new stand-alone game as well as compatible with all Gloom core games and expansions. archetypes like the Smuggler, Captain, Doctor, and Dark Lord fight their fathers, meddle with monoliths, get caught in compactors, and wind up getting nuked from orbit. In a game of Gloom you want your characters to must suffer the greatest possible tragedies before succumbing to the bleak but fitting respite of death while bestowing happiness on your opponent's characters. Unique transparent cards stack on top of each other to make scoring easy. 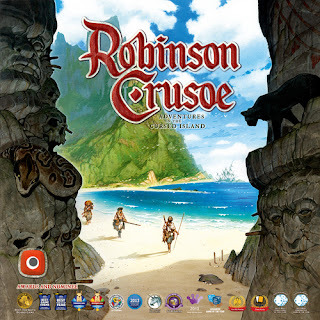 Robinson Crusoe: Adventures On The Cursed Island is an new updated edition. 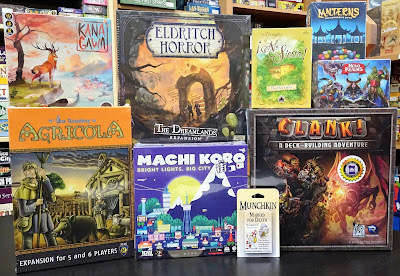 The update include a square box with new artwork, shaped wooden pieces replace the cubes, thick cardboard character cards, the discovery tokens have thematic stickers with names, 7 scenarios instead of 6, and an enhanced rule book. You and your fellow players are castaways on an uninhabited island in a cooperative adventure game. Your task is to build a shelter, ward off potential dangers, and complete the missions. You will explore the island to find mysteries and treasures, gather food and wood, build tools for faster and safer work, and survive. 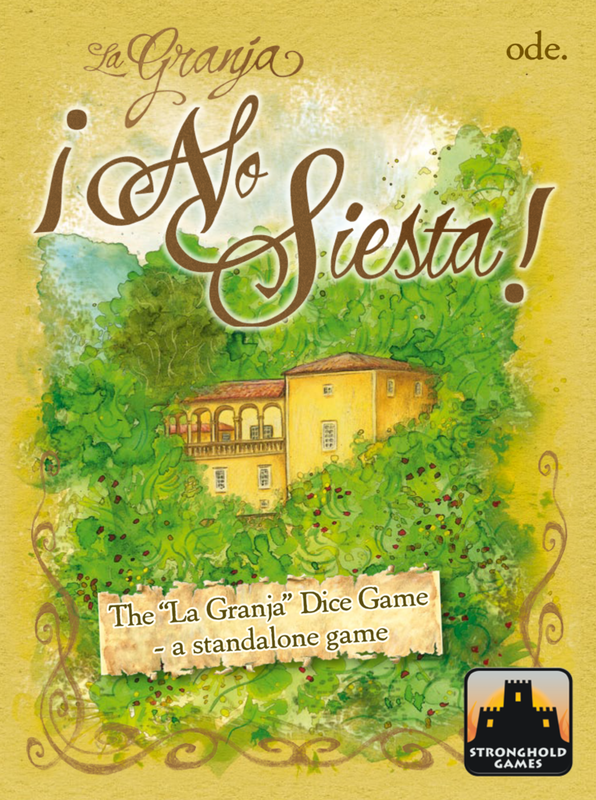 La Granja: No Siesta! is a portable dice drafting game for 1 to 4 players that plays in 30 - 45 minutes. 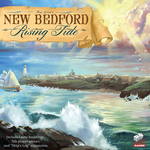 New Bedford: Rising Tide, an expansion to the base game New Bedford. Rising Tide expansion includes more ships and supplies for a 5th captain, and more buildings to expand the town. Ships at sea will have tales to tell from the Ships Log, and while Providence favors the bold, darker Omens are also on the horizon. Lanterns: The Emperor's Gifts is the first expansion to the base game Lanterns, a tile placement game. In the Emperor's Gifts expansion players have a small supply of pavilions. When you place a tile, you may choose to build a pavilion on that tile. When you make a color match on a pavilion, you earn a gift from the emperor, a new currency that can be redeemed on new actions defined by emperor cards. Additionally, there are Emperor cards that can be activated to gain a special action. The Dreamlands is the newest expansion to Eldritch Horror, the cooperative game where you and your fellow players are investigators traveling in a H.P. Lovecraft world working together to solve mysteries and trying to save the world from an evil Ancient One. You'll gather clues, encounter strange and mysterious circumstances, battle monsters, and embark on daring expeditions. The Dreamlands expansion includes a Dreamlands side board with strange portals that lead from the waking world to the land of dreams. Additionally, there are 8 new investigators to choose from. 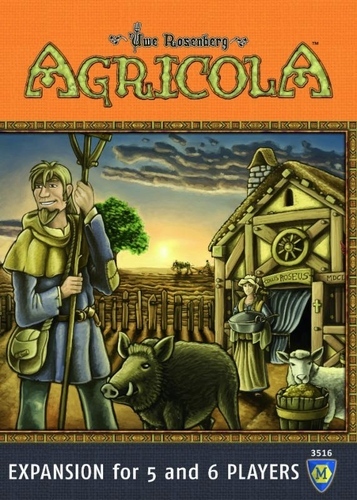 Besides taking Agricola to a 5 & 6 player game with additional wood, room tiles, food markers, farmyard boards, this 5-6 Player Expansion adds 48 new occupations, 8 additional major improvements, a 2-sided game board extension with lots of new action spaces, and 4 Scotland themed promo cards. 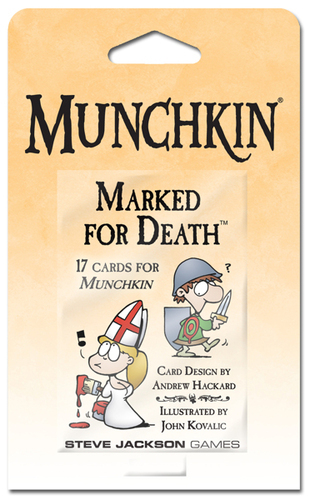 Munchkin Marked for Death is a double-duty booster set for the card game, Munchkin. It contains 17 new cards that include Anvil, Recalculate Your XP, and the horrifying effervescence of the Soap Golem. This expansion pack is a balanced set so you can use it to play a demo game with friends who have not played Munchkin.